Dental crown and bridges are dental prosthetic that are fixed on damaged teeth or implanted to restore the function and aesthetics of the set of teeth. Crowns are the caps that are used to cover a broken tooth or implant. They look exactly like a real tooth and after initial discomfort, the patient may even forget over time that it is artificial. Bridges are also used to replace missing tooth, but instead of being at the place of missing tooth, a bridge is hinged on two sides to the neighboring teeth. The best dentists in Mulund can advice the patient on whether a bridge or a crown is more suitable for their case. A dental crown is an artificial tooth cap that is made commonly of porcelain or ceramic to imitate the look and feel or a real tooth. Some other material like gold or zircon can also be used. A crown can be used in many cases, like when the tooth is severely damaged or decayed, or when the tooth is cracked or to act as an anchor for bridge or sometimes simply for improving the shape and size of the tooth. Most dental clinics in Mumbai have the facility for installing different types of crowns. How is a dental crown put in place? The tooth is first prepared for crown. If the tooth is decayed beyond repair, the dentist may first perform a root canal and cleanse all the infection and disinfect the area. In some cases, the tooth may not be decayed but may be damaged or absent altogether. 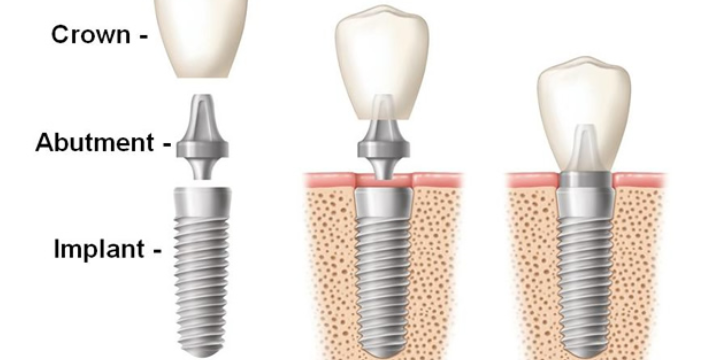 When a good part of the tooth is not present, first a dental implant is fixed to provide the foundation. Then the dentist takes an impression of the tooth above or below and customized crown is made in a dental laboratory. This crown is then permanently fixed atop the implant or the tooth remnant and if proper oral hygiene is maintained it can last a lifetime. A bridge is used to fill gaps between teeth wherein the bridge is placed in the gap with the help of two pontics (fake teeth) on either side. Usually both neighboring teeth also need to be prepared to be fitted with the fake teeth. 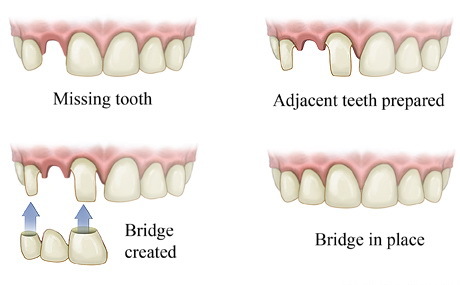 A bridge is also advised when two or more consecutive teeth are missing. 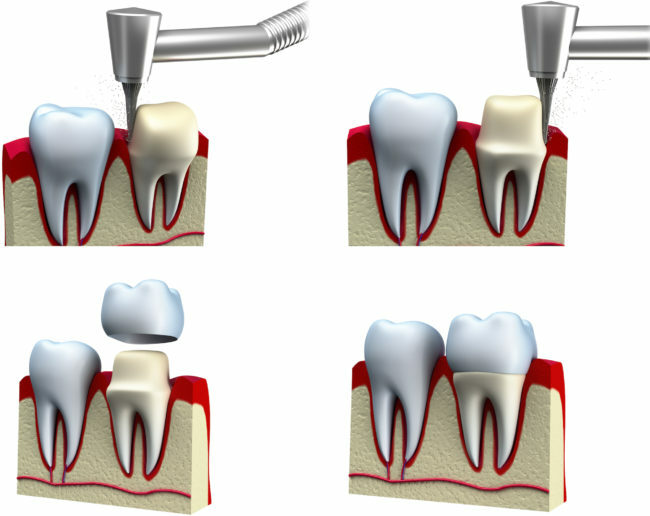 Best dentists in Mulund are expert dentists and equipped with state of the art technology to fix bridges. How is a bridge put in place? First the neighboring teeth are prepared by removing their enamel and fixed with crowns. Next dentist takes impressions of upper or lower teeth and accordingly custom bridge with pontics is created in dental lab. Finally the bridge is fixed in place using cement with the pontics being mounted on the crowns of neighboring teeth. Bridges may need repair if any of the neighboring teeth develops decay or if the outer layer of bridge gets chipped or cracked. Bridges and crowns are also made to improve the aesthetics of a broken tooth or gap. They help maintain proper bite, as gaps or missing tooth can otherwise lead to misalignment of teeth over the time.